The State College Area High School mock trial team. Photo by Jennifer Rand. State College Area High School is one of the 14 high schools advancing to the 36th Annual Pennsylvania Bar Association Statewide High School Mock Trial Competition Friday and Saturday at the Dauphin County Courthouse in Harrisburg. The competition is sponsored by the PBA Young Lawyers Division. The State College team is composed of students Baron Cao, Khari Franklin, Stanley Hamilton, Evan Jones, Allison Mi, Ella Simpson, Isabelle Snyder and Clarissa Theiss. The teacher coach is Jennifer Rand and the attorney advisor is April Simpson. The team moved on to the state level as winners of the Region 4 area of competition that includes schools in Cameron, Centre, Clearfield, Clinton, Columbia, Elk, Jefferson, Lycoming, McKean, Montour, Northumberland, Potter, Snyder, Tioga and Union counties. 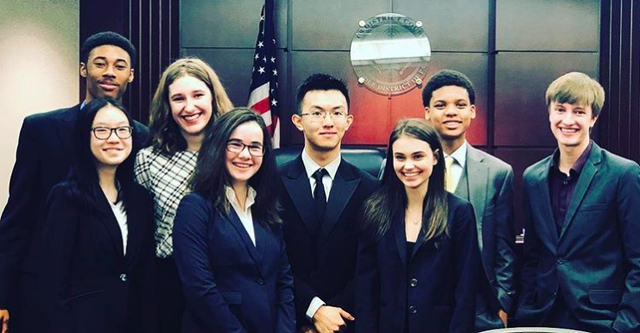 The winning team of the state championship will represent Pennsylvania in the national mock trial finals to be held May 16-18 in Athens, Ga.
On Friday, all 14 teams will participate in two rounds of competition, one at 2 p.m. and one at 5:30 p.m. Up to six teams that have won their first two rounds of competition will advance to an 8:30 a.m. round of competition on Saturday. The two winners of this round (or the two highest-ranking teams) will advance to the state final at 11:30 a.m. Judge Karoline Mehalchick, U.S. District Court for the Middle District of Pennsylvania, will serve as the presiding judge. This year’s hypothetical case is a criminal jury trial in which the defendant, a pain management doctor, is accused of prescribing opioid painkillers outside the realm of normal medical practice, resulting in the overdose death of his patient. Serving as co-chairs of the Mock Trial Executive Committee are Koltash and Young Lawyers Di-vision Chairelect Jennifer Menichini of Pittston. Staff changes are not always a bad thing. They can mark an improvement, and they can also sustain recent success while bringing a new perspective to the coaching room. They’re also pretty normal. 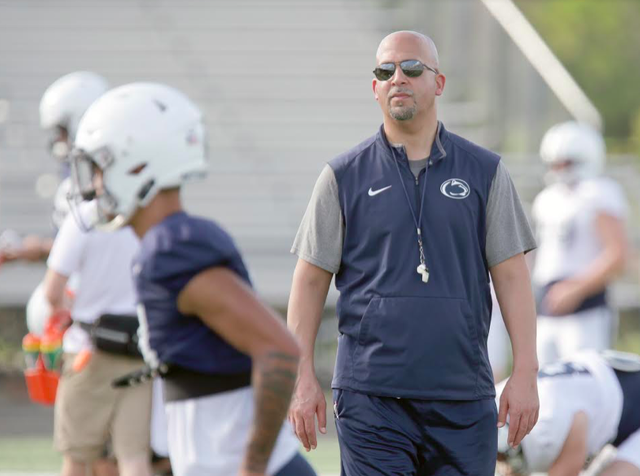 The days of a college football staff staying together for decades are over, now a much more fluid business, one where change can be an indicator of success as much as an indication of struggle.